Lauren Carol Smith Wendy Barrett’s store may soon be evicted by city marshals. Another longstanding business in the neighborhood is on the brink of closing its doors. 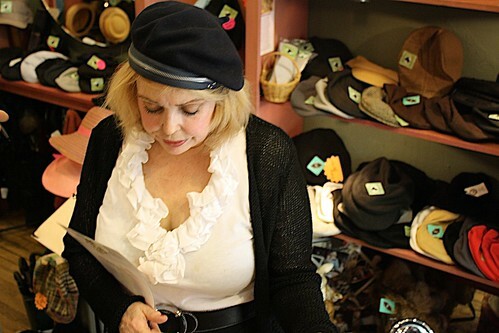 The Village Scandal, a 16-year-old hat shop, is facing eviction from its space on Seventh Street, and the owner is pointing the finger at her property management company. Wendy Barrett, the milliner who owns the popular shop, has become so desperate that she has written a message on a sandwich board in front of her store asking sympathizers to petition the management company, A.J. Clarke, to stop the eviction.